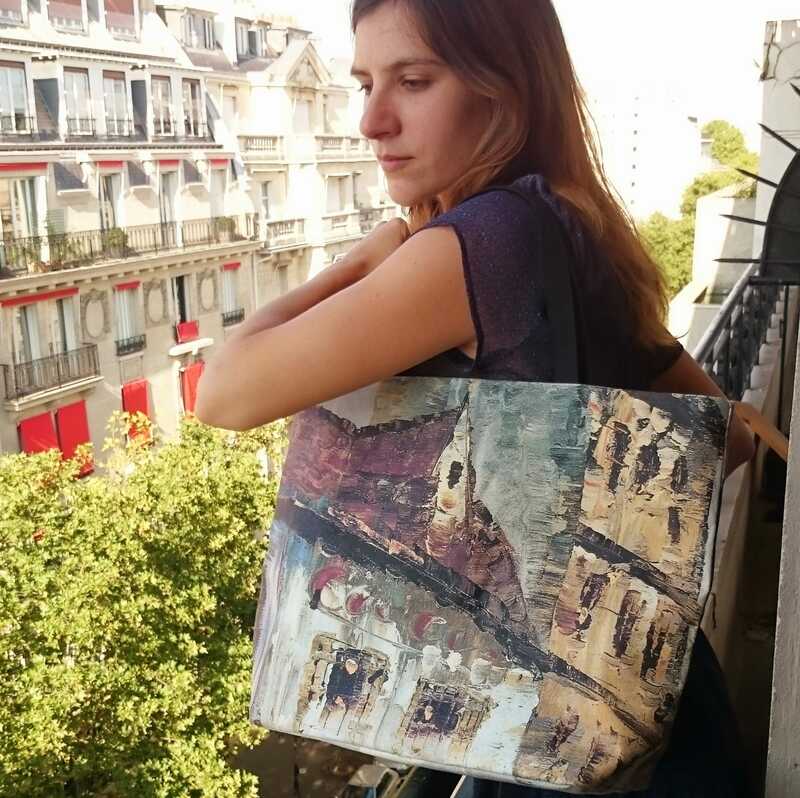 Printed tote bags painting montmartre in paris. Package shipping 48h. 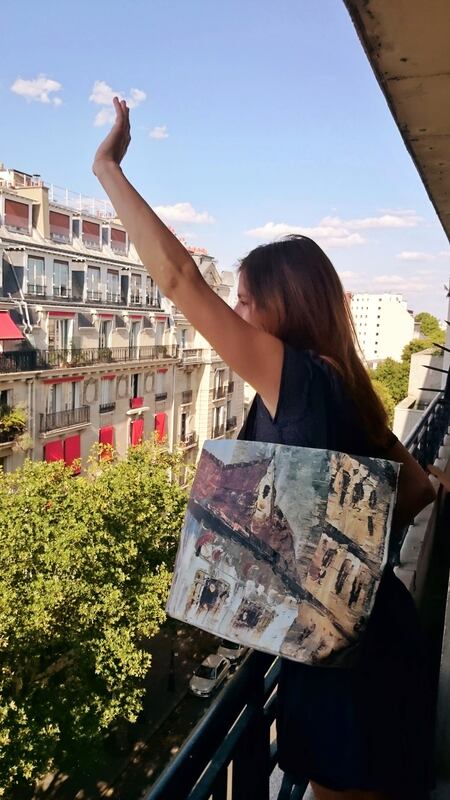 Canvas tote bags. The same printed thick canvas is on each side with different pictures. 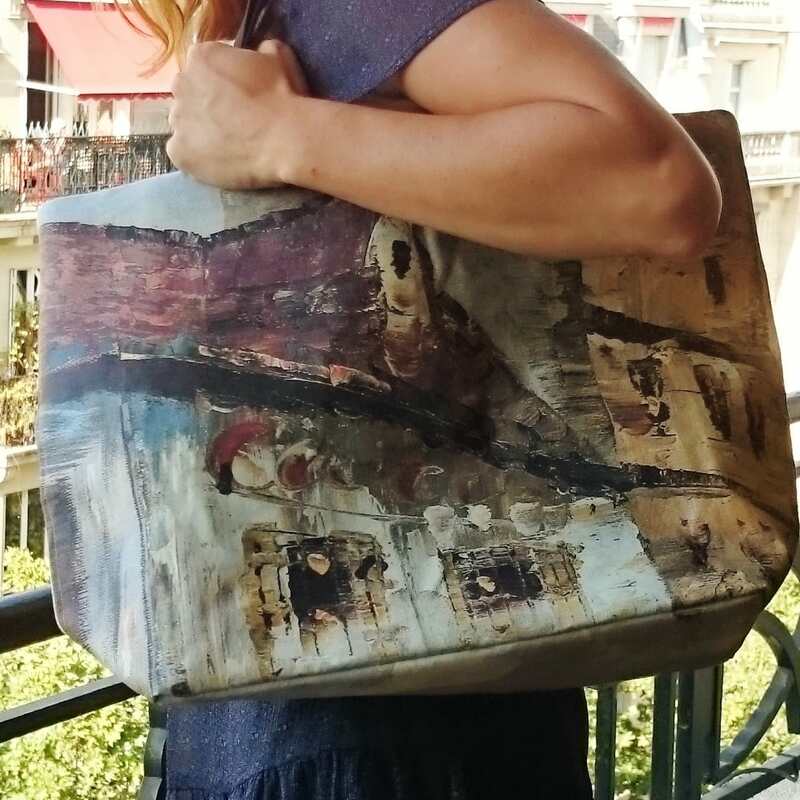 These are painting copy of Montmartre painter artwork in Paris. Old Montmartre building on one side, front shop on the other. 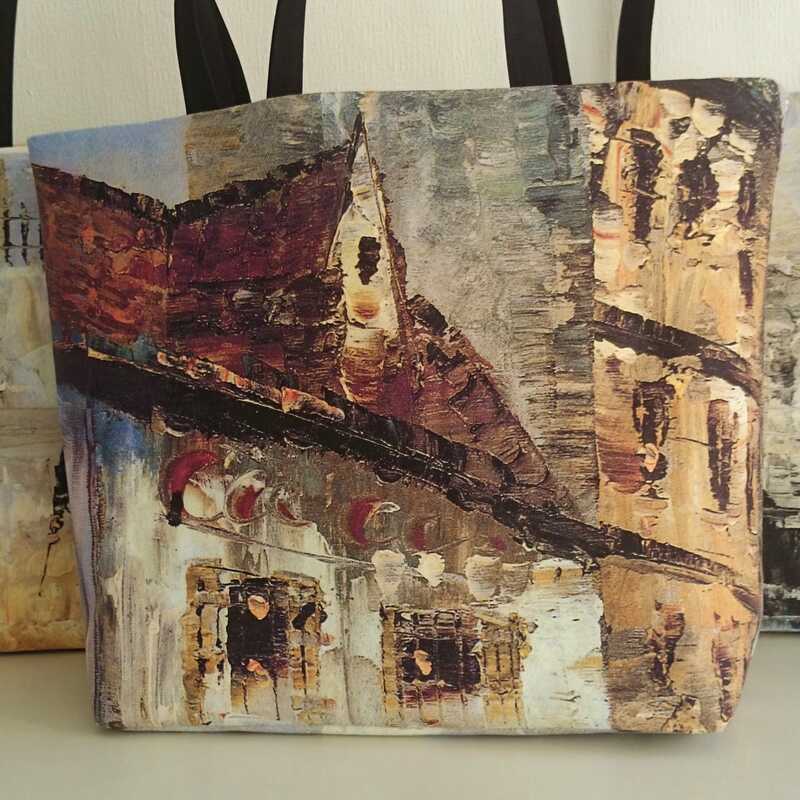 It is a medium tote bag, its size: 13 x 18-13 x 5 inch about. Its esthetical and luxurious qualities suits you it in situations which need elegant ladies handbags. It is trendy!. It is perfectly washable, the picture does not fade away but dislike spin drying.